Organic strands of white, colorful freshwater cultured keshi pearls are strung together with a .925 sterling silver closure. Each pearl measures 8-9mm in size and the bracelet measures 7.5" in length. Includes a secure pin-insert latch closure and is genuine freshwater pearls. 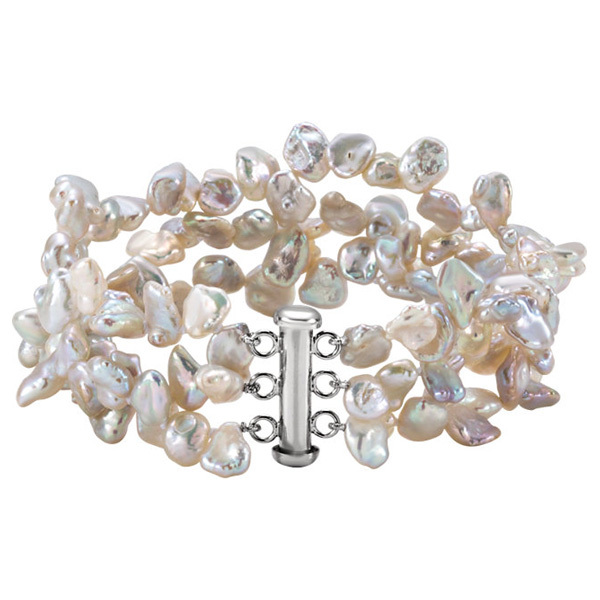 We guarantee our Freshwater Keshi Pearl Bracelet in Silver to be high quality, authentic jewelry, as described above.